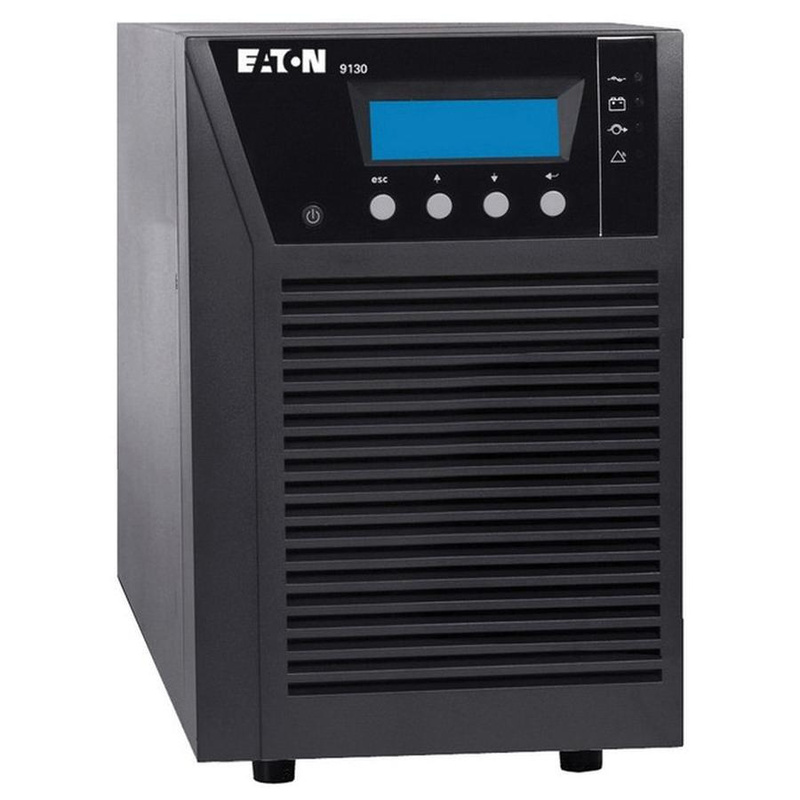 Eaton Uninterruptable power supply in black color, offers real power for protecting more equipment and leave room for expanding IT systems with 0.9 power factor. It employs two 12-Volt 9 Ah battery for ensuring reliable performance. It has power rating of 700 VA/630-Watts, voltage rating of 80 - 144-Volt AC and current rating of 5.8-Amps. Power supply featuring 6-ft cable, has one NEMA 5-15P input and six NEMA 5-15R output connection. It measures 6.3-Inch x 13.8-Inch x 9.1-Inch. It supports rack mounting for making installation easier. This power supply with blue backlight graphical LCD interface, is perfect for IT, networking environments, servers, networking gear, telecommunications, VoIP, security systems and medical systems. It withstands temperature rating of 0 to 40 deg C. Power supply is UL and cUL listed.